Transistor was a brilliant game--it had stunning art, a fantastic and intelligent (albeit complex and subtle) narrative, interesting and thoughtful gameplay, and superb voice acting. However, Transistor suffers from an anti-problem; the game strove for quality over quantity. 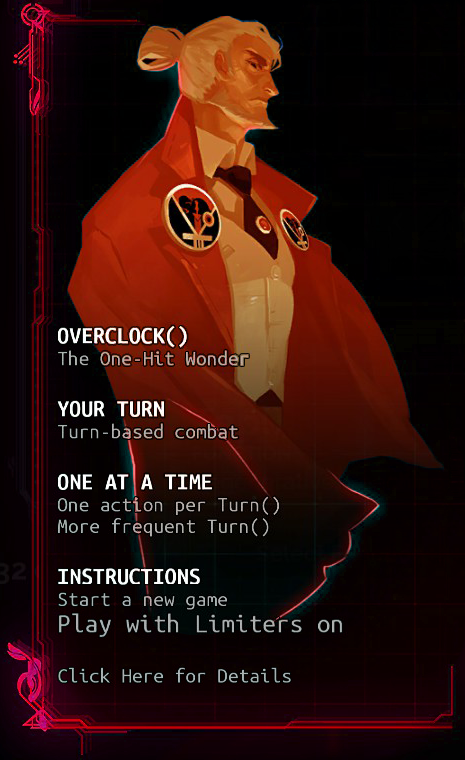 Recursion mode (Transistor's form of New Game +) aimed to fix the game's playtime somewhat, but most opine that Recursion fell short. Enter Transition(). Transition() is a series of Transistor mods made by 0Azimuth and friends. 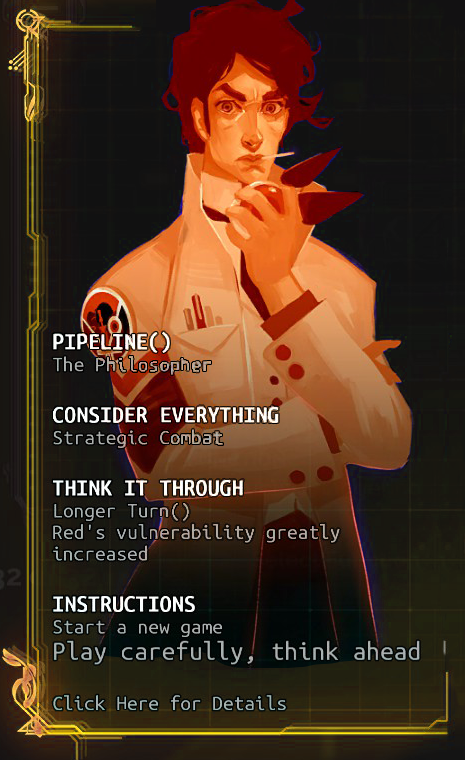 Each mod refines and restructures Transistor's gameplay into a new theme. The first mod, Hyperthread(), encourages using Functions in real-time and using Turn() as an evasion mechanic, making faster-paced gameplay. You can read more about it on the Features page, or head to Tutorials to learn how to download and play it for yourself. Don't forget to report any bugs you find and tell me what you think! Your feedback shapes the future of these mods. Have fun! The names for the other two mods are set, and the mod manager is being re-skinned to be much prettier and cleaner. Now, what's left to get Hyperthread() into beta? First of all, I want to share the names of the two other mods. For those of you who didn't know, Transition() consists of three Transistor mods, the first of which is Hyperthread(). Overclock() is the next mod in line! 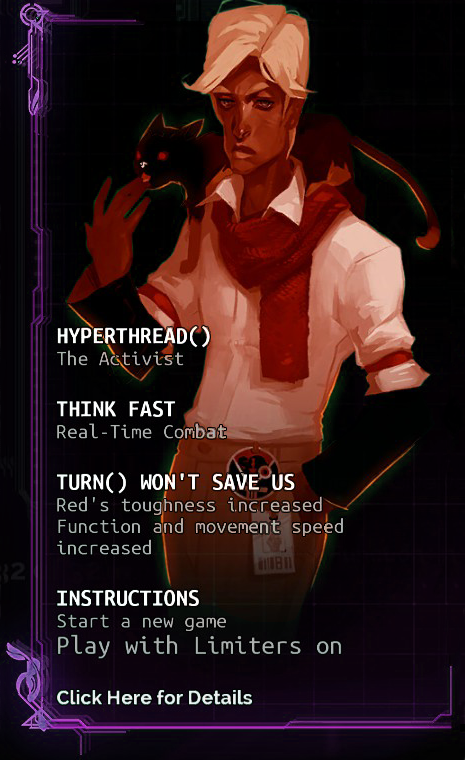 I'll start developing it once Hyperthread() is safely in beta, and playable from beginning to end. I'll begin developing Pipeline() once Overclock() is in beta, and I have some surprises up my sleeve for this one. These pictures are what I've made for the new version of the mod manager. They're in-game screenshots that have been cropped and slightly photoshopped, and I think they look a lot cleaner. They also provide more details as to what mod actually does, in case you don't want to crack open a web browser every time you launch Transition(). 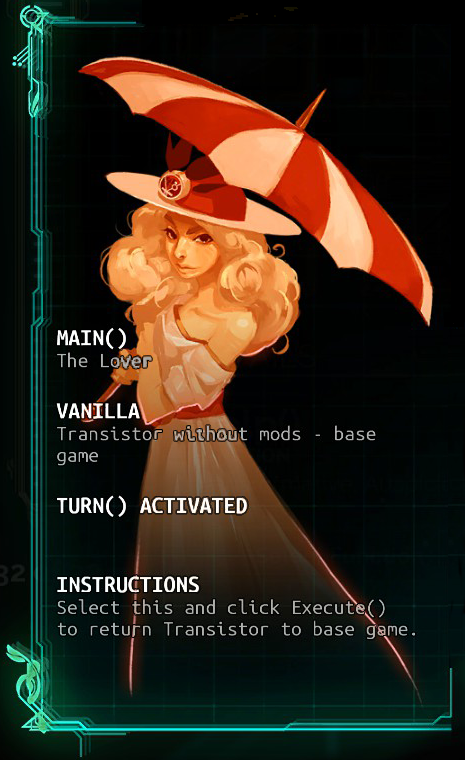 I'm thinking that the "Click Here for Details" link should either link online to the mod descriptions, or go to a screen that looks like the "Inspect Function" screen in Transistor. Any thoughts? Right now, Hyperthread() is in public alpha. I have an update coming to clean up some bugs and balance, update the mod manager, and so on, but there are a number of large changes that must be made before I'd feel comfortable pushing to beta. Once Hyperthread() is feature complete, albeit not necessarily bug free, it'll be in beta. Royce and DarkRed have to be beatable. Right now, they're glitchy--technically, you CAN win a fight against them, but more likely than not, they'll just stand still for a very, very long time in Turn(). Sandbox tests have to be recoded for Hyperthread(). Most don't really fit Hyperthread()'s gameplay style, and some simply don't work (I'm looking at you, Planning Tests). Switch() has to work differently. I have a recode idea (see Trello), but it has to be actually implemented. UI has to be finished and continuous. Once these are done, even if gameplay balance isn't perfect or Hyperthread() isn't bug-free, it'll be in beta and it'll be content complete. Thank you everyone for your time and continued support! You'll see v0.4 coming soon. Stay tuned!